Discussion in 'iPhone and iPad Games' started by Eli, Jan 27, 2016. It is the end of the Age of Stalemate and begins the Era of the Simply Knights! Join the White Banner Knights! Equip your best armor and arm yourself for an epic battle against the Black Banner Legion. In Knighttingham stands two mighty twin Kingdoms, the White Banner and the Black Banner. For many years, their equal power of knights prevent any conflicts of war. But as of recent, the White Banner's Champion and all her Knights went missing leaving the White Banner powerless. The Black Banner marches their Legion towards the now defenseless castle. Now its up to the people! Join the many brave heroes. Become a new Knight of the White Banner and pick up arms against the overwhelming odds of fighting your way into the heart of the Legion, the Black Banner King and his Champion. 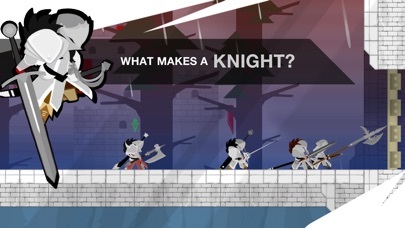 In Simply Knights, push your courage, wits, and sword skills to the limit. Gear yourself with over 50 different parts from helm, armor, weapons, to shield. Alongside your fellow Knights in arm, battle your way through lines of Black Banner Knights and close as much distance you can towards the heart of their mighty Legion. 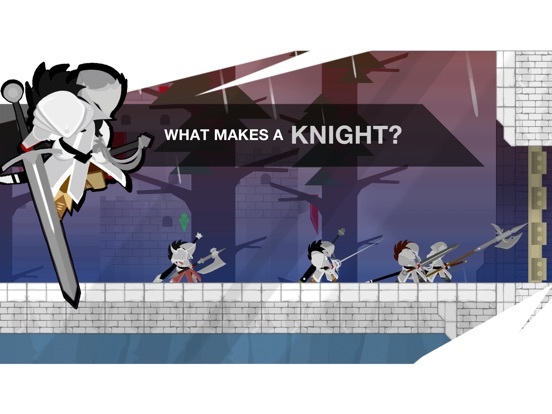 Become one of the Greatest Knights existed in Knighttingham! Compete and bring your badge to the Hall of Knights and see if you truly have what it takes to hold up along side the greatest Knights of Knighttingham! 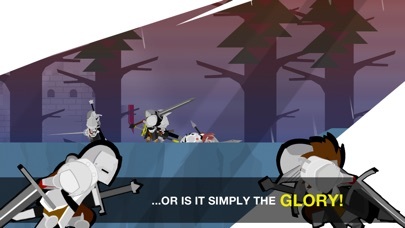 An Epic Melee Warfare - Become a Knight! Split-second strategic combat! 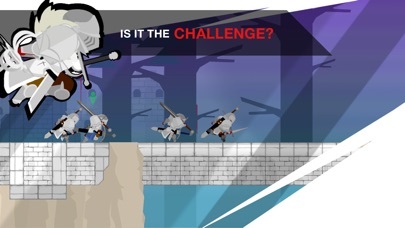 Master the key skills of melee warfare, positioning and timing Push your courage, wits, and sword skills to the limit. Join the White Banner Knights! Equip your best armor and arm yourself for an epic battle against the Black Banner Legion. 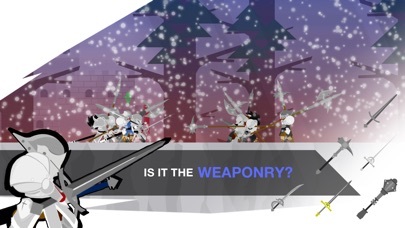 Select your best weapons and master your skills for pure melee combat. 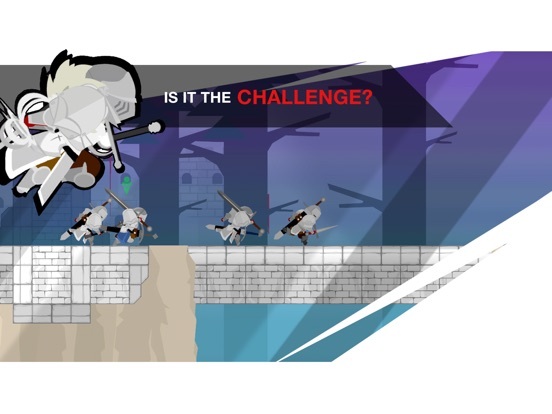 Fight your way against overwhelming odds and challenges! Fight your way into the heart of the Legion, the Black Banner King and his Champion. Become the many brave heroes, become one of the greatest knights to be listed on the Hall of Knights! - AS KNIGHTS Battle with heavy armor and weapons. 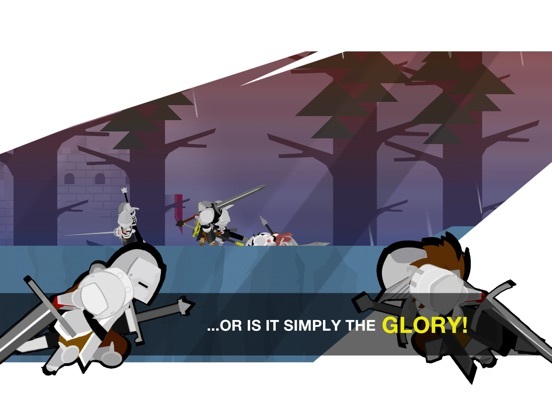 Brutally bash your way through lines of enemies alongside your fellow knights in arm! - THE CHALLENGE Simple to play, difficult to master! An easy left and right control with split-second strategic gameplay. 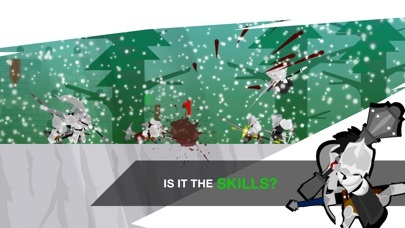 - THE SKILLS High risk, high reward combat! 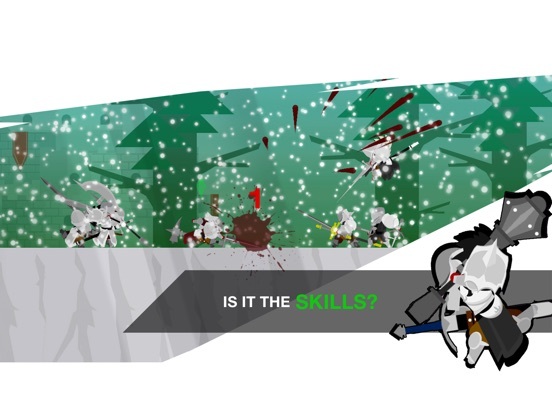 Master the key skills of melee warfare, positioning and timing. 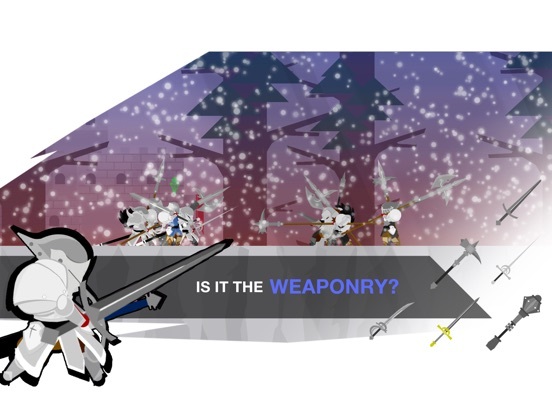 - THE WEAPONRY Change your equipment, change your play style! Gear yourself with over 50 different parts from helm, armor, weapons, to shield. - FOR GLORY Become one of the Greatest Knights! Compete and bring your badge to the Hall of Knights and see if you truly have what it takes to hold up along side the greatest Knights of Knighttingham! I'm actually digging this game! Anyone else? I'll report back later after I've played some more. The game is simple yet awesome. I was expecting to fast movements when I saw the screenshots but it was the reverse. Just some perfect timing when playing this game. Offers IAP. And btw, the game crashes for an unknown reason. I got more than 5 crashes while playing the game. I have iPhone 6 plus. Hmm. Thanks TA for putting up this post. Hi Billy, thanks for the comment. Awesome to hear you're enjoying it! Hi Limelight, thanks for the comment! I was worry at first the slower, timing-base combat would be too out of the ordinary to understand but I am glad to see it turned out alright. Thanks for bringing up the crashes. May I ask when you are experiencing these crashes? Are they during a run or any random/unknown time? The parts where the knight is walking on or off screen, or when the gold is given to the king, is there anyway to speed all of that up? I'm finding myself tapping the screen to somehow make it go faster. It's just taking way too long. The knight walking in or off cannot be speed up. As for the king, you can tap to speed the process up (except for the shining part if thats what you mean). Sorry didn't occur to me those were long. Worth to add a feature to skip those in the next update. Thanks for the feedback. The stupidest description I have ever seen! Simply simply simply.... yes I ve seen that...but how do I play the game? What should I expect in this game? What features does it offer? Is it an rpg game, arpg, platformer, qte kind of game? endless runner, high score? Online only? Come on people help your games get downloaded! Thank you! And no worries. You can't think of everything. Only when it's in the hands of many players do the real bugs and gameplay wonky stuff comes out. Thank you for a prompt reply. Is it an rpg game? Well you 1 starring their game certainly doesn't help it sell. That was a bit harsh for it just not having a description you like. As for the game, it looks good! Will download later and rate it, hopefully I can help counteract the 1 star rating it most likely didn't deserve. Wow what a wonderful gem this game is. Love the runner genre combined with a slower more tactical gameplay. Also the knight art is fabulous. I do have to say, the controls feel like they could be better. A control set like "Reaper: Tale of the Pale Swordsman" or just regular button controls would be good here so you're not constantly moving your fingers all across the screen during the action. As for other improvements, maybe adding more frames to the knight's walking / running / dashing would be cool. Looks a bit "studder"-ish when I play. And a minor gripe is that I wish the file size was smaller. Seems a bit big for what's in there but that's just my opinion. I have a bunch of dozen houred full 3D games that come up to the same size as this so I had to make room on my device. I'm getting instant double notifications for when my chest is respawned. It's firing twice very fast every time. So I'm disabling the games notifications until it gets fixed. Awesome game! Love the art style and the huge amount of customization!Instantly spent a dollar on katana! Dear developer, please, i beg you! Add more combat animations, more weapons and armors, more everything! Btw, could you also make it possible for weapons to do more that 1 damage? Maybe with a slow charged attack? Anyway, great game! Don't give up on it! Is the double notifications of the same response? Np just disable it, I'll have a look further into this issue. Thanks for letting me know about this. Sorry the description wasn't to your liking. You do make some valid points though. I didn't do the same type of description for my previous apps. Hopefully it doesn't turn you away too badly from giving it go. Anyways thanks for your thoughts! Skylined you are awesome. Hope you think it is as good as it looks. Thank you for your support! Great feedback! Good to hear you like the art and gameplay and your thoughts for the controls and animation. As for the file size, I'll look into further compressing the file size if possible. Hopefully next file size will be smaller. Thanks for your feedback Lawliet! I'd love a mode where you cant't die but also don't get gold/points... I can practise woth that mode..
Further im loving the game, great art and style! You are awesome Killa! Thank you for your support! Hope that new katana takes out many enemies for you. Will do! Surely be adding more of everything. Great to hear you digging all the current contents! It is possible to deal more than 1 damage. Currently there is one weapons specialize at countering. The Piercing Dagger. If successfully striking an enemy while they are about to attack it will deal 2 damage over it's half damage. I think the Great Rapier also does but can't remember at the moment without checking :s Thinking of adding more of these conditional special damage types soon. Thank you again Killa. I'll continue adding features to the game! i am LOVING this! i came for the artwork. I stayed for the strategic gameplay and the depth of customisation and weight/ movement. And so difficult! 1) Can it be played offline? 2) is there a IAP i can pay you guys, to collect coins/ equipment faster and also support you?